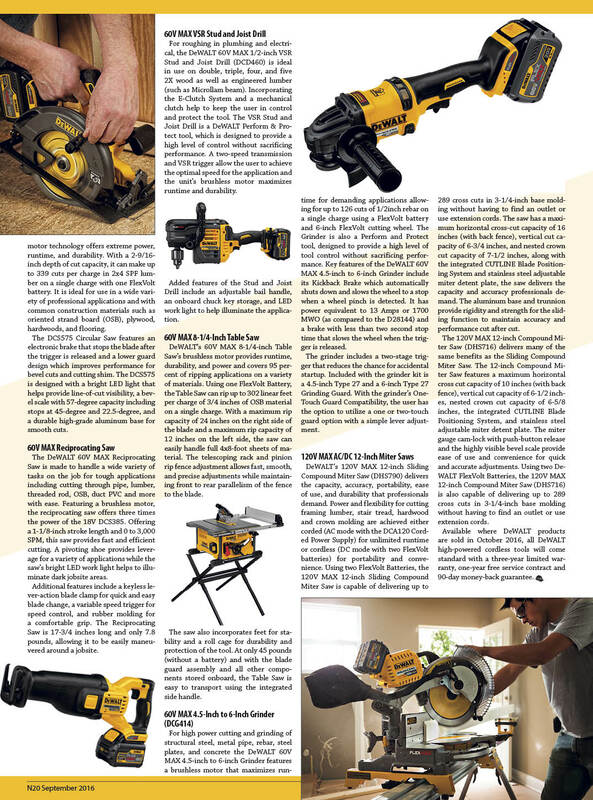 Published on January 31, 2019 in Daily Dirt, Equipment & Products and National. 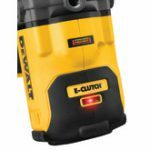 Closed Tags: 60V MAX, construction, construction industry, contractors, cordless, cordless power tools, DeWALT, FLEXVOLT®, Mixer/Drill with E-Clutch® System, safety. 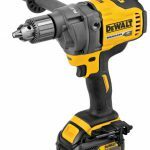 DEWALT announces the 60V MAX* Mixer/Drill with E-Clutch® System (DCD130), designed for mixing a wide variety of materials from thin set to fiber-reinforced concrete. The Mixer/Drill can also be used for high torque drilling. Using the DCB606 battery, the 60V MAX* Mixer/Drill with E-Clutch® System offers more than two times the power of DEWALT’s corded mixing drill DW130V, and it can mix up to 19 buckets of pre-mixed drywall buckets, 17 buckets of tile mortar, and 9 buckets of concrete**. For tile, drywall, flooring as well as metal drilling, and wood drilling applications such as 4-5/8″ Self-Feed Bits through 2x SPF#2, the 60V MAX* Mixer/Drill with E-Clutch® System offers a powerful brushless motor that allows the tool to maintain mixing speed in tough material and eliminates brushes and brush changes. 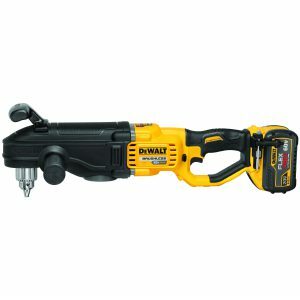 The Mixer/Drill also offers long runtime and cordless convenience, operating off FLEXVOLT® Batteries that are compatible with most DEWALT 20V MAX* tools. Key to the 60V MAX* 1/2″ Mixer/Drill is the E-Clutch® System, which senses tool motion and eliminates the torque when binding is detected by stopping the motor. The user is notified that the E-Clutch® System has been activated through an illuminated LED light. 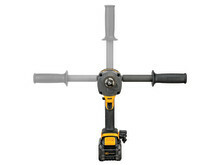 Additional features are the 1/2″ keyed chuck that accepts hex or rounded mixing paddles, a three-position side handle, a variable speed trigger, a Bluetooth® Tag mount, chuck key holder, rear-handle mount that is compatible with the DEWALT Spade Handle (DW130V sold separately), and an LED light to illuminate the workspace. The 60V MAX* 1/2″ Mixer/Drill with E-Clutch® System is also a PERFORM & PROTECT™ tool. PERFORM & PROTECT™ tools are designed to provide a high level of one or more of the following: control, dust containment or low vibration, without sacrificing performance. Available where DEWALT products are sold in early 2019, it will come kitted with one DCB606 6.0Ah FLEXVOLT® Battery and Charger f (DCD130T1) and bare (DCD130B). It will come standard with a three-year limited warranty, one-year free service contract and 90-day money-back guarantee. * – Maximum initial battery voltage (measured without a workload) is 60 volts. Nominal voltage is 54. DEWALT is obsessed with how users work in the real world and is relentlessly pursuing total job site solutions. 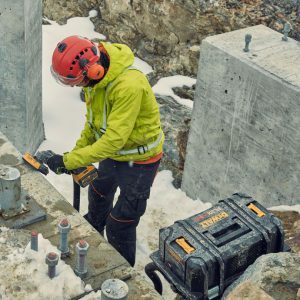 By incorporating its latest technology and industry innovations, DEWALT is leading the charge for the job site of the future. 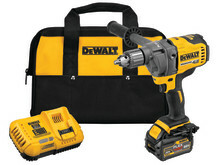 DEWALT products. GUARANTEED TOUGH®. For more information, visit www.dewalt.com or follow DEWALT on Facebook, Twitter, Instagram, and LinkedIn. Published on October 29, 2018 in Daily Dirt, Equipment & Products and National. Closed Tags: 60V MAX, construction, construction industry, contractors, DeWALT, DEWALT PERFORM & PROTECT™, In-Line Stud & Joist Drill, safety. DEWALT introduces the 60V MAX* In-Line Stud & Joist Drill with E-Clutch® System (DCD470) at the 2018 Specialty Tools and Fasteners Distributors Association (STAFDA) Convention in Phoenix, Arizona. Part of the growing line of FLEXVOLT® Tools, Batteries, and Accessories, the brushless 60V MAX* In-Line Stud & Joist Drill offers powerful, high-speed drilling and long runtime. The 60V MAX* In-Line Stud & Joist Drill with E-Clutch® System is a high torque right angle drill with fast application speeds. Part of the DEWALT PERFORM & PROTECT™line of tools the drill features E-Clutch® System and a mechanical clutch for control in high or low speed. In high and low speed, the DEWALT E-Clutch® System senses tool motion and eliminates the torque when binding is detected by stopping the motor. The user is notified that the E-Clutch® System has been activated through an illuminated LED light. Published on October 16, 2018 in Daily Dirt and Equipment & Products. Closed Tags: 120 Table 1 Compliant, 60V MAX, concrete, construction, construction industry, DeWALT, DeWalt cordless tools, DEWALT FLEXVOLT™, Dust Extractor, Flexvolt 60VMax, infrastructure, job site, jobs, jobsite, safety. DEWALT announces the new FLEXVOLT™ 60V MAX* Dust Extractor (DCV585), adding to its system of more than 120 Table 1 Compliant** Solutions of drilling, cutting, and grinding tools, dust extractors, accessories, and shrouds intended to limit workers’ exposure to respirable crystalline silica. 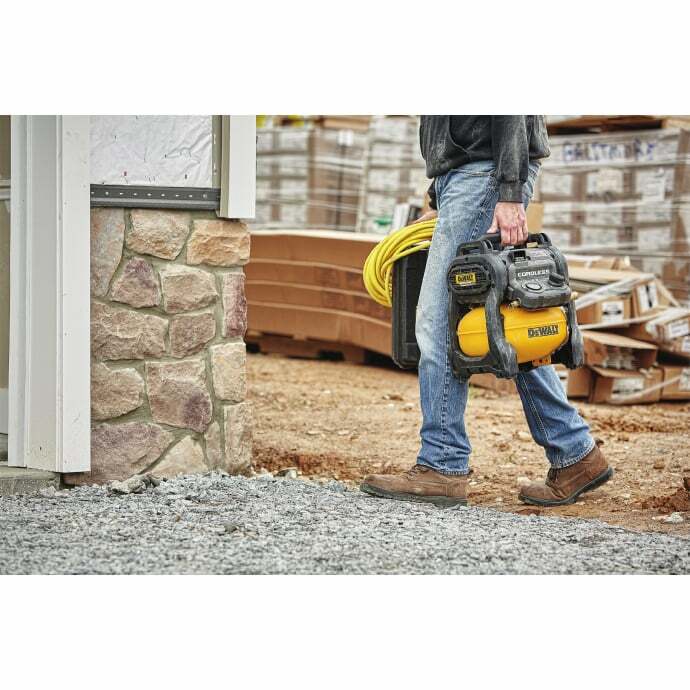 The 60V MAX* Dust Extractor runs off of DEWALT FLEXVOLT Batteries and is an efficient and portable way to be OSHA Table 1 compliant** on the job site. For concrete drilling and grinding/cutting up to 5-inch wheels, the 60V MAX* Dust Extractor achieves 125 CFM. Featuring Wireless Tool Control that gives the user the option to activate the extractor from a few feet away using the included remote. Additionally, the 60V MAX* Dust Extractor offers an automatic filter cleaning mechanism. The 60V MAX* Dust Extractor is part of the DEWALT PERFORM & PROTECT™ line of tools designed to provide a high level of one or more of the following: control, dust containment or low vibration, without sacrificing performance. For a list of the DEWALT PERFORM & PROTECT™ drilling and grinding solutions that adhere to the new OSHA ruling on protections for workers exposed to respirable silica dust, go to DEWALT.com. Available where DEWALT products are sold in November 2018, the 60V MAX* Dust Extractor will come kitted with two HEPA Filters and two Batteries for $549 MSRP (DCV585T2). It will also come bare for $349 MSRP (DCV585B). The 60V MAX* Dust Extractor will come standard with a three-year limited warranty, one-year free service contract and 90-day money-back guarantee. **Compliant to the Exposure Control Methods described in Table 1 of 29 CFR 1926.1153 when outlined components are operated and maintained in accordance to manufacturer’s instructions, assuming that airflow is measured in accordance with the motor/fan system test. OSHA is reviewing the exact requirements for dust extraction in these applications. 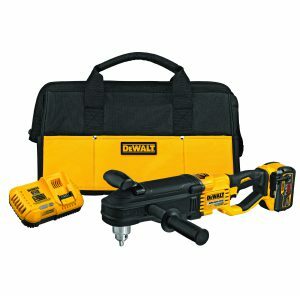 8 Foot Long Anti Static Hose with DEWALT® AIRLOCK™ system. Published on July 26, 2017 in Daily Dirt, Equipment & Products and National. Closed Tags: 60V MAX, air tools, construction, construction industry, contractor tools, contractors, Cordless Air Compressor, cordless tools, DeWALT, DEWALT FLEXVOLT™, safety, tools. What could be more useful than a cordless compressor? Not much. 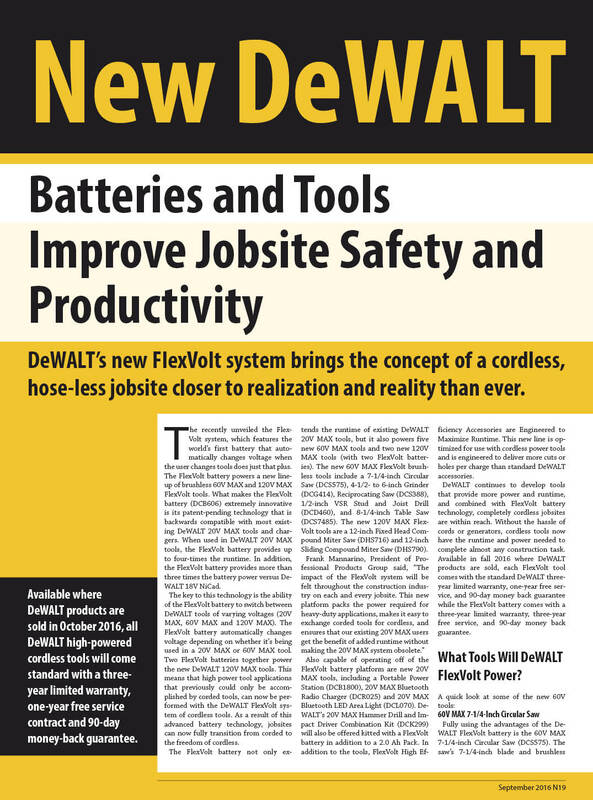 To fill the void and continue its expansion of the cordless tool jobsite DEWALT® announces the FLEXVOLT® 60V MAX* 2.5 Gallon Cordless Air Compressor (DCC2560). This tool is in made in Jackson, Tennessee with global materials and is part of the growing FLEXVOLT® System from DEWALT. With seven manufacturing locations in the USA, DEWALT remains committed to domestic manufacturing and produced over 90 million individual units of Power Tools, Hand Tools, and Accessories in the United States with global materials in 2016 alone. Visit the website to learn more aboutDEWALT products Made in the USA with global materials. Published on September 13, 2016 in Equipment & Products, Featured Article and National. Closed Tags: 60V MAX, circular saw, construction, construction industry, contractors, cordless tools, DeWALT, DEWALT FLEXVOLT™, grinder, hand tools, jobsite, reciprocating saw, safety, table saw.